Stephensons, the largest independent operator in Essex, but now with a significant presence in Suffolk too, has a new depot and workshop on the Waltham Road Industrial Estate at Boreham, near Chelmsford. It follows an £800,000 investment in the freehold of two adjacent sites that have been united to form one. The facility replaces a windswept rented yard in Witham that had two mobile offices and a container, bringing to an end a three year search for somewhere more suitable. 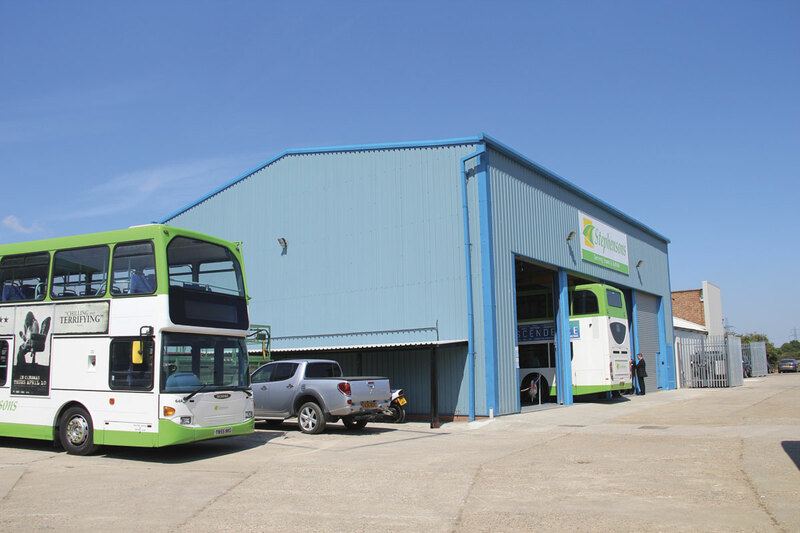 Providing an operating base for the 20 vehicles working locally as well as a central engineering capability to handle the maintenance of the 60 buses in the Essex-based fleet, Boreham is one of four main depots from which Stephensons operate. The others are the company’s headquarters at Rochford, near Southend, which has an allocation of 15; Maldon, with a fleet of 20; and the Haverhill depot in Suffolk that was formerly home to Burtons Coaches and now runs 33 vehicles. There are also buses out-stationed at Clacton, Chelmsford and Dunmow. 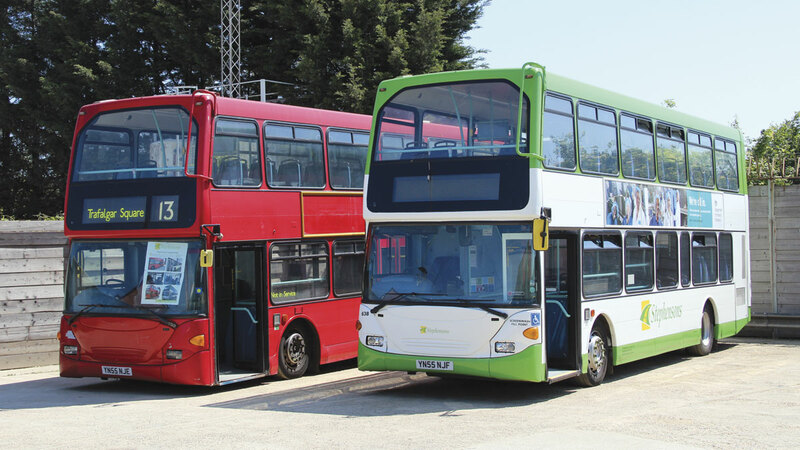 In total, the company operates around 90 buses, though there are also heritage buses and sales stock vehicles for the associated used vehicle sales businesses. It operates around 4m kilometres annually, carrying 1.4m passengers, employs 120 staff and with an annual turnover approaching £9m. 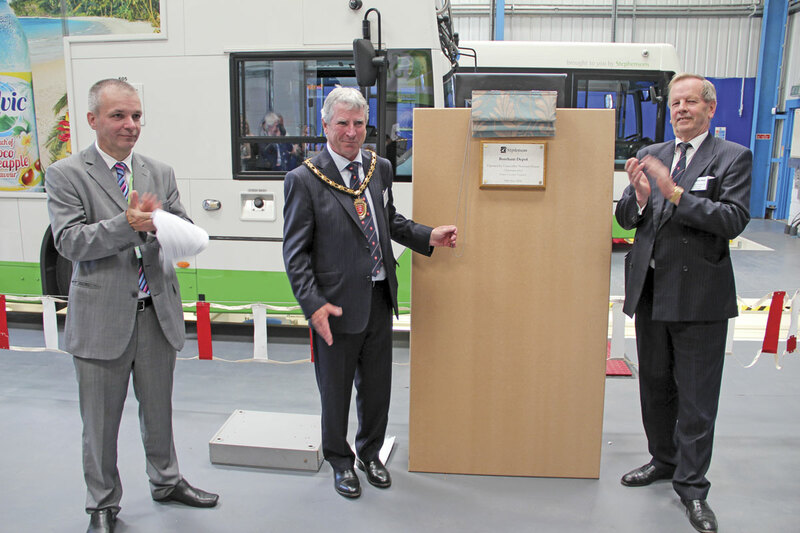 Managing Director, Bill Hiron, who is the majority shareholder in the company, gave a speech of welcome in which he outlined the history of the company since it was set up in the early 1970s, pointing out its achievements and successes, particularly over the past ten years. 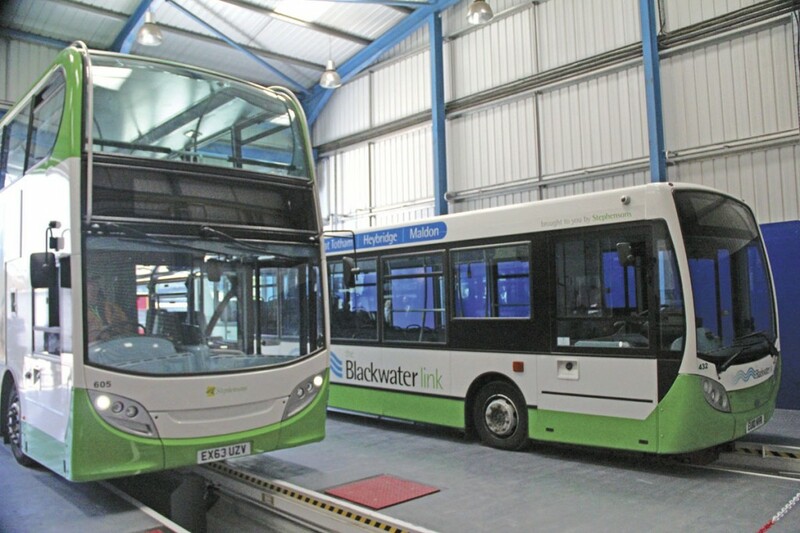 He said that 100% of the company’s stage carriage fleet and 70% of the school bus fleet was now low floor and buggy accessible, over £1.6m having been invested in new and late used buses in the last 12 months alone. 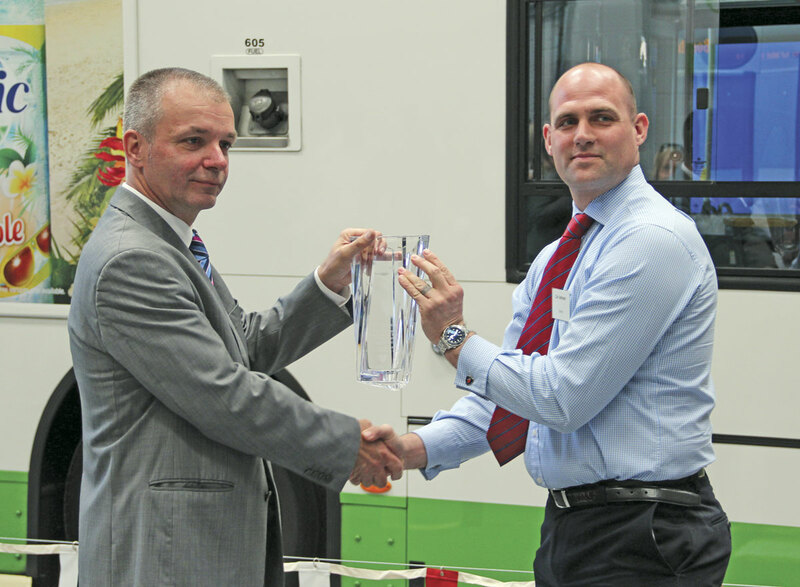 He was particularly proud of the company’s driving staff, six of whom have achieved Elite status in Greenroad’s latest accolades, while Trevor Owen, had been voted the UK’s Top National Bus Driver 2011 at the UK Bus Awards in that year. Mention was also made of Stephensons having been included in the inaugural ‘1,000 companies to inspire Britain’ list of the London Stock Exchange Group in 2013. Returning to formally declare the premises open, Cllr Norman Hume, described Bill Hiron as ‘inspired, enthusiastic and anxious to take matters forward.’ Finally, he injected a note of caution into the festivities, saying that the Council was, ‘looking at reviewing fundamentally our passenger transport services – because we have to,’ though he expressed confidence in Stephensons’ continuing success. A surprise element to the proceedings saw Carl Johnson of Scania present Bill Hiron with an engraved cut glass vase to celebrate the occasion. A mixture of tendered and commercial local bus routes and school service work is operated from Boreham. Services include route 90, marketed as the Blackwater Link, which connects Maldon with Witham via a number of villages; the 38/39 Witham Link (Witham town routes); the 32 Chelmsford to Ongar and certain journeys on the 91. There is also a network of school services to three main areas – Colchester, Southend and Chelmsford. Now fully equipped, the four bay workshop at the centre of the site has been thoroughly upgraded with a new roof, the addition of two new Premier Pits and a Maha rolling road facility. The site benefits from new fencing, alarms and CCTV, and some ‘very expensive flooring’. The offices have also been comprehensively refurbished to create a safe and attractive working environment. Around the depot and within the offices, a number of displays and demonstrations were organised during the launch, showing the company’s approach to: technology, demonstrating the Ticketer ticketing system; training, revealing the contents of the induction course including disability awareness, safety checks and customer service; workshop showing how the engineering team use the various items of equipment; and vehicles, with visitors invited to look at members of the fleet including a heritage former Southdown Leyland PD3 Northern Counties ‘Queen Mary’. In addition to safety inspections and preventative maintenance, the engineering team is capable of undertaking bodywork repairs and the refurbishment of vehicles. Illustrating the latter point were a pair of ‘05’ plate Scania OmniDekkas. 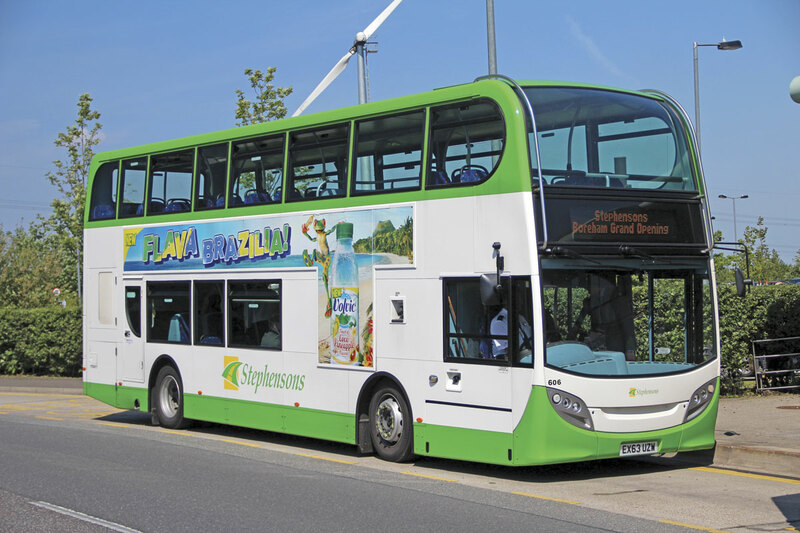 One was a dual door example as it had arrived from London and alongside it was the consecutively registered bus converted to single door, completely refurbished and painted in Stephensons green and white colours. I understand that spray painting is about the only thing that can’t be tackled at Boreham. With Boreham now operational, the former engineering facility at Maldon can be pensioned off although some maintenance will still be undertaken at Rochford. Michael Greenway, who is the Operations Manager at Boreham, is also responsible for Maldon. 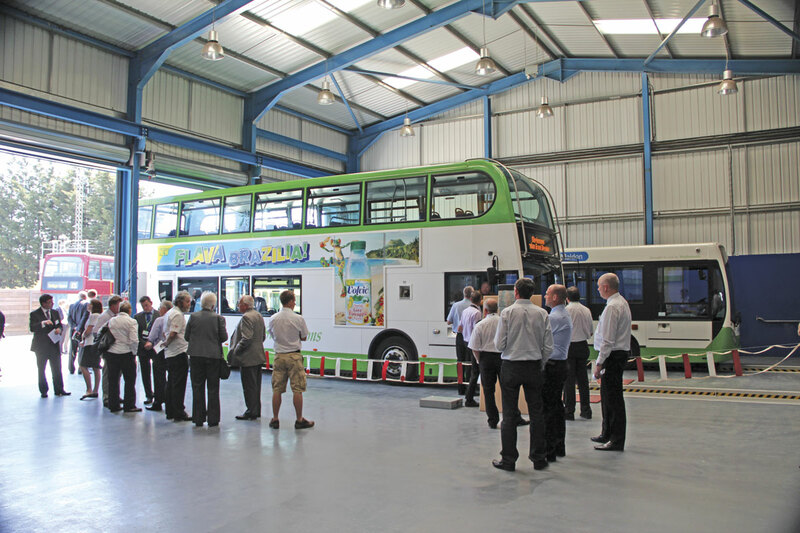 Among many guests at the launch there were representatives from other local operators, local Government, suppliers, passenger groups and the press. Also present was Nigel McCree, who has a 50/50 joint venture with Stephensons selling used coaches taken in by dealerships. In conclusion I can only agree with Cllr Norman Hume who indicated that although there would be challenges in the future, Stephensons would continue to succeed and serve the public well.